The AERO 2019 Preliminary Program is available in PDF Format and MS Excel Format. Please note that the Preliminary Program is subject to change. If you are unable to register online, please request an alternate registration form. The Sheraton Laval is offering a special AERO 2019 Conference rate of $169 CAD/night, ending Thursday, May 16. If you would like to extend your stay or to book a different room type, you can contact the Hotel directly at 1-450-687-2440 or 1-800-667-2440. 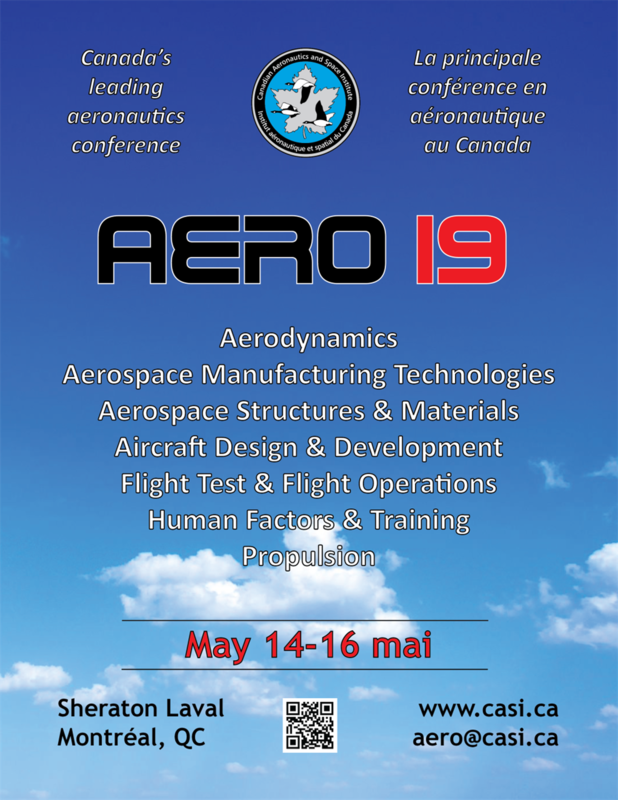 Are you a CASI Junior Member who would like to volunteer during AERO 2019? If so, please click here to let us know. Volunteers generally spend about half the conference ‘on the job’ while the rest of their time is free. Registration fees are waived for volunteering and tasks may include assisting with registration/administration activities, monitoring sessions, and performing odd jobs and errands. Our volunteer organizer tries to match the personal interests of students with the sessions they are assigned to monitor. Download/print a poster for your school or workplace.